Ukrainian companies have received an access to the market in 1.7 trillion dollars. 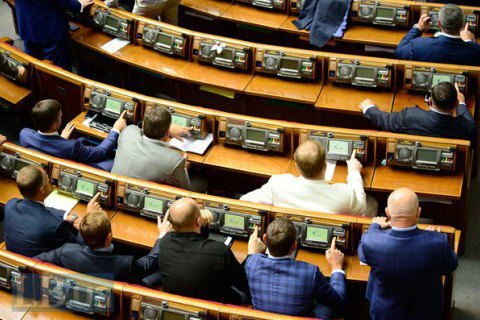 The Verkhovna Rada has ratified Ukraine's joining of the Government Procurement Agreement within the World’s Trade Organization framework (WTO GPA). The draft law No. 0085 was supported by 243 MPs. The Agreement opens an access for Ukrainian companies to new international product markets with the annual purchase amount of 1.7 trillion dollars. Today, the public procurement market of Ukraine is open for all member states of the Agreement, and markets of the countries signed the Agreement are close for the Ukrainian business. There are 44 countries to have signed the Agreement on Public Procurement within the WTO framework, including 28 EU countries, as well as USA, Japan, Canada, Hong Kong, China, Singapore, Korea. Ukraine joined the WTO GPA on 12 November 2015.